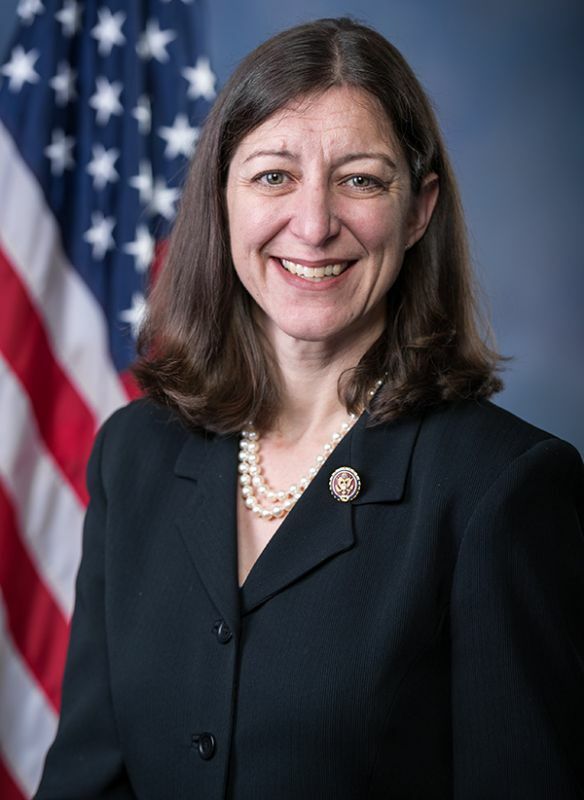 Congresswoman Elaine Luria, representative of Virginia’s Second Congressional District, will deliver the 2019 Commencement Address at Virginia Wesleyan University on Saturday, May 18, according to President Scott D. Miller. Prior to her election in 2018, Rep. Luria served two decades in the Navy, retiring at the rank of Commander. She served at sea on six ships as a nuclear-trained Surface Warfare Officer, deployed to the Middle East and Western Pacific, and culminated her Navy career by commanding a combat-ready unit of 400 sailors. A member of the House Armed Services Committee and the House Committee on Veterans’ Affairs, Rep. Luria was one of the first women in the Navy’s nuclear power program and among the first women to serve the entirety of her career in combatant ships. Rep. Luria leads the House Veterans' Affairs Subcommittee on Disability Assistance and Memorial Affairs, and is Vice Chair of the House Armed Services Subcommittee on Seapower and Projection Forces. Of all members in the House Democratic Caucus, she served the longest on active duty, having completed 20 years of active military service with the U.S. Navy. A resident of Norfolk, she graduated from the U.S. Naval Academy and received a master’s in engineering management from Old Dominion University. Virginia Wesleyan University’s 2019 Commencement Ceremony will take place Saturday, May 18, at 11 a.m. on the University Commons in front of the Greer Environmental Sciences Center—the University’s first outdoor graduation since 2003. In the event of unfavorable weather, the ceremony will be moved indoors to the Convocation Hall inside the Jane P. Batten Student Center. Commencement will be preceded by a Baccalaureate Service on Friday, May 17, at 6 p.m. at Haygood United Methodist Church in Virginia Beach. Jonathan C. Zur, President & CEO of the Virginia Center for Inclusive Communities, will serve as the Baccalaureate speaker. The University will recognize Elaine Luria and VWU Board Chair David Kaufman with honorary degrees during the Commencement Ceremony.